The Mouse House will soon be looking to challenge Netflix’s crown by launching its own streaming service, Disney Plus. With all the smash hit franchises at their disposal, Disney won’t be short for original content and so far, they already have a bunch of Marvel TV shows lined up as well as The Mandalorian, the first live-action series to come from the Star Wars saga. It seems that Lucasfilm won’t be stopping there, though, as more SW shows are apparently in the works, too. We Got This Covered has heard from our sources that two fan favorite characters from the Sequel Trilogy may be getting their own vehicles in the future. To be precise, we’re talking about former stormtrooper turned Resistance fighter Finn and ace fighter pilot Poe Dameron. As viewers know, John Boyega and Oscar Isaac’s heroes were both introduced in 2015’s Star Wars: The Force Awakens. So, what form could these shows take? Well, that’s up to us to speculate on as all we’ve been told is that they’re currently in development and that no writers have been attached yet. A Poe series about his early days in the Resistance would be a lot of fun though, especially seeing as the Marvel comics and Disney XD’s Star Wars Resistance already explore this. As for Finn, presumably there’s not much story to tell about his youth in the First Order, so maybe the fact that he’s getting his own show indicates that he’ll survive Episode IX and go on to have more adventures? Time will tell, but at this point, it’s difficult to say whether Boyega and Isaac will even be involved in these projects. You’d think so, but Marvel’s upcoming Loki show will only feature Tom Hiddleston in a voiceover role, with a new actor playing a younger God of Mischief. So, if our guess that a Poe series could be a prequel’s correct, then a different actor may step in to fill in for the in-demand movie star. Or, maybe not. After all, Marvel’s Vision and the Scarlet Witch, for instance, will star both Elizabeth Olsen and Paul Bettany. 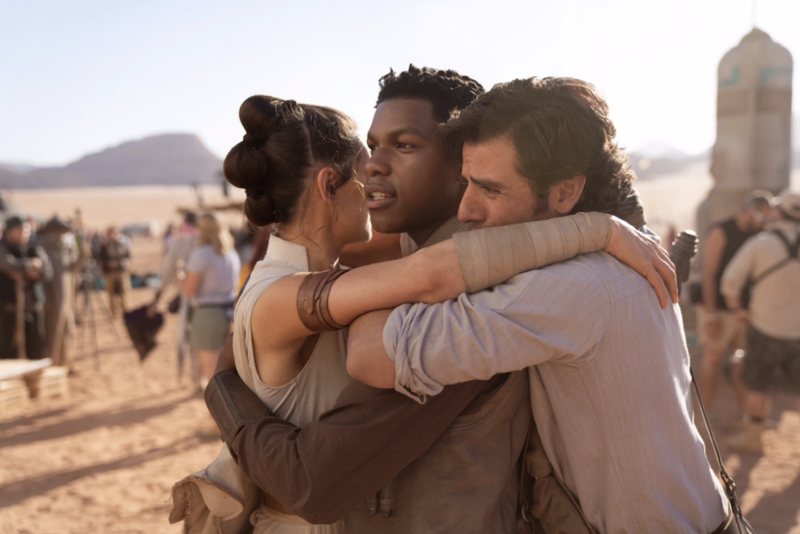 For now, we’ll just have to wait and see what comes from this, but you can catch Finn and Poe on the big screen again in Star Wars: Episode IX, which arrives on December 20th.